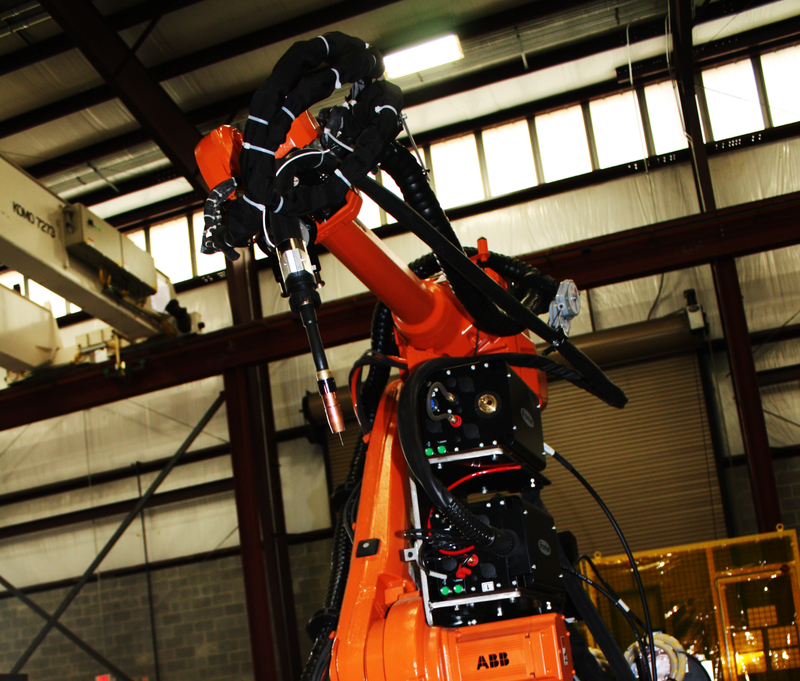 Navus specializes in providing custom robotic welding and cutting solutions to many Fortune 500 companies in the Heavy Equipment, Military and Consumer Manufacturing industries. 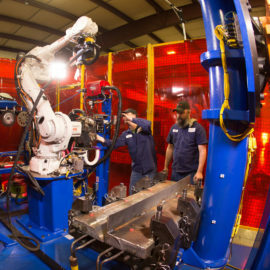 Our innovative, turnkey solutions help clients surpass their goals of increased efficiency while also improving the quality, endurance, and reliability of their automated welding systems. 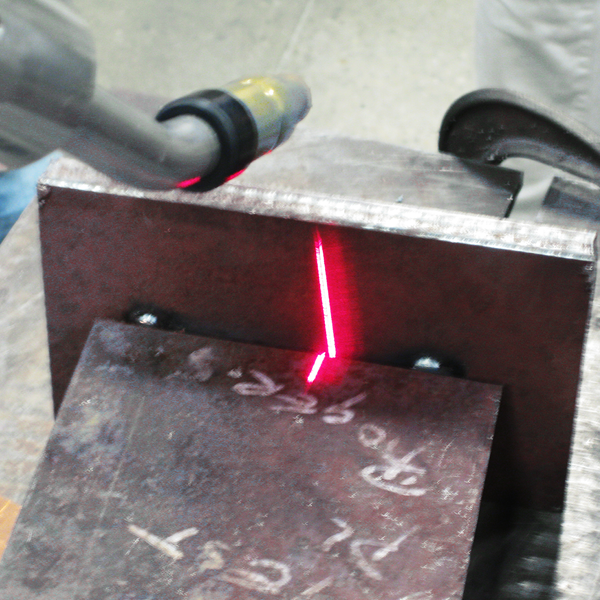 With years of research and development and a certified weld inspector on staff, Navus has developed strategies for tackling the toughest welding problems. 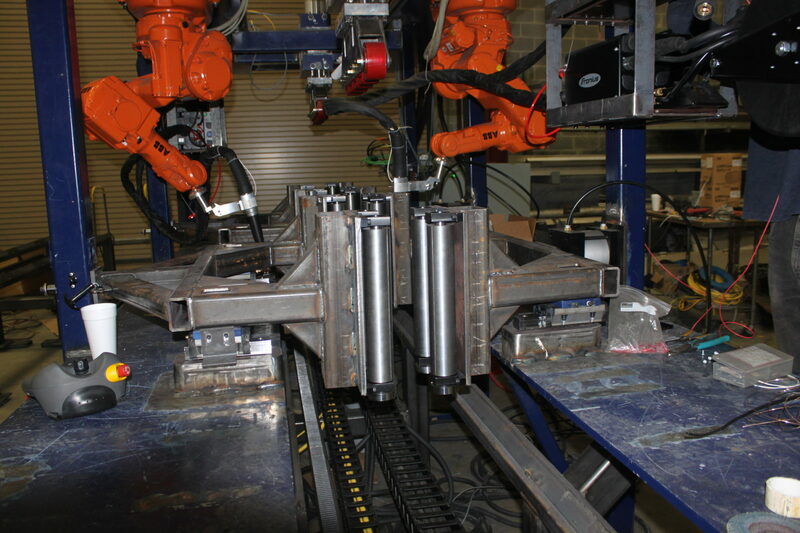 From welding in all positions to producing welds that stand up to the most rigorous testing procedures (X-Ray, UT, TOFD), Navus has the experience and in house testing capabilities to help get your processes perfected. 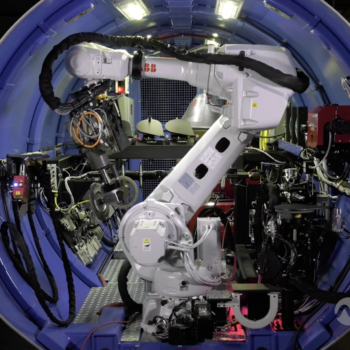 Navus has taken seam tracking technology to a new level allowing intuitive and adaptive control of complex joint configurations. Custom profiles can be developed to ensure consistent tracking and adapting. Welding can provide extremely harsh work environments. Navus takes pride in offering remote operating solutions to keep your workers safe. 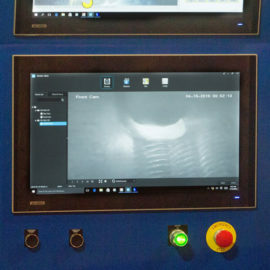 Our solutions include live weld puddle monitoring, high definition pre and post inspection and numerous weld analysis features.